Often overlooked by Londoners, the Greenway is a pleasant, raised path and cycleway that carves a straight(ish) line through east London. It runs along the embankment atop the Northern Outfall Sewer which was originally built by the great Victorian civil engineer Sir Joesph Bazalgette to carry much of London’s effluent to the Beckton Sewage Treatment Works. Perhaps unsurprisingly, its local nickname used to be the 'Sewerbank'. Much of the Greenway signage — which you can't possibly miss — is actually made from old sewer pipes. Being flat and on gravel, it's an easy path although some parts have been closed of late for building work on Crossrail. Thankfully the section between West Ham station and Stratford High Street reopened in 2015 — great news for walkers and cyclists who no longer have to deal with a badly-signed diversion along Abbey Lane. It's a permissive path (meaning that although public access is allowed, it isn't a public right of way) and is closed at night, although opening times do vary depending on where you are. 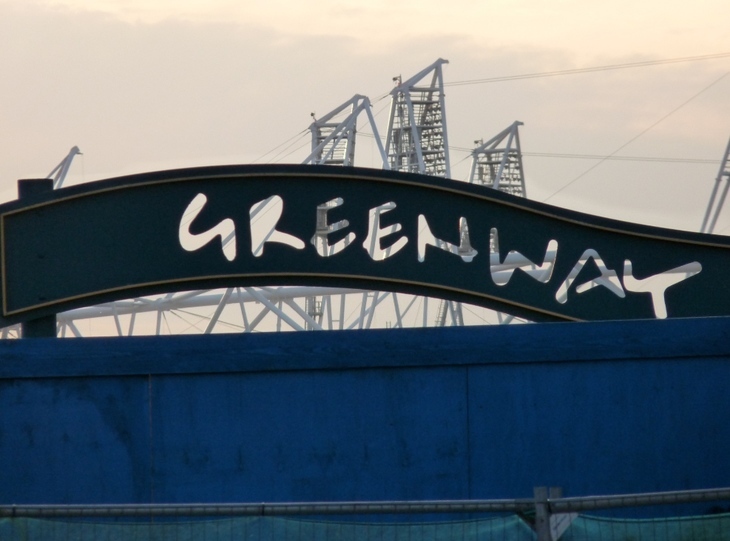 Going from east to west, the Greenway begins — flanked by an industrial estate and a retail park — by the Royal Docks Road which is a 10-15- minute walk from Beckton DLR station. Very soon, you'll see signs for a (blocked) footpath to the Beckton Alps. This is the irony-laden name for an old toxic refuse heap which is said to be the highest artificial hill in London. 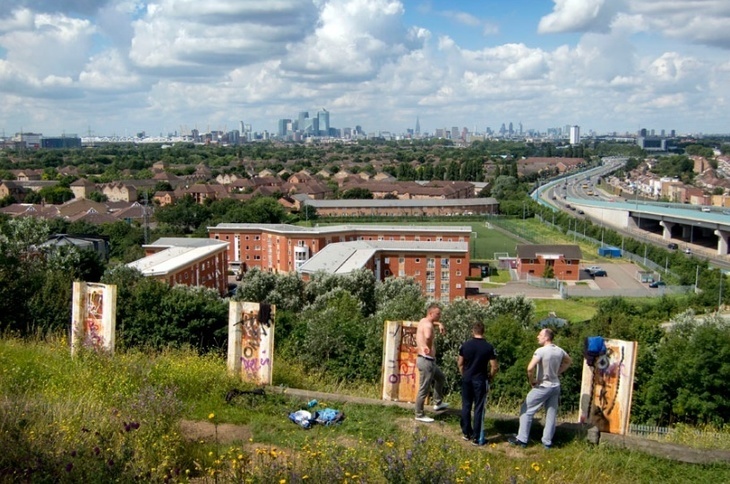 Once home to a dry ski slope, it's now mostly overgrown although there is a good view from its western slope towards the Docklands and the City. A zig-zag path up this landmark can be accessed from Woolwich Manor Way, although the summit itself is fenced off (there's a gap in the fence, but we couldn’t possibly recommend that you do that). Cross the A13/A117 junction to continue along the Greenway. The emphasis is now on the residential rather than the industrial, and being on a raised pathway there are views into back gardens from a grassy and shrub-lined path that lives up to its name (as well as plenty of bird life, do look out for rabbits). For a stretch, section 14 of the Capital Ring runs along the Greenway which has a series of gates through which you'll need to pass to cross various roads. When the path passes the Memorial Recreation Ground to the left, there are views across to the towers of the City. Shortly after this, the path crosses a railway line; nearby is West Ham station where Tube, DLR and national rail services converge (for those in need of refreshment at this point, there’s a café next to the station). Following this, the newly-renovated section of the Greenway takes you over the Channelsea River, one of the Bow Back Rivers that flow into the Bow Creek part of the River Lea. 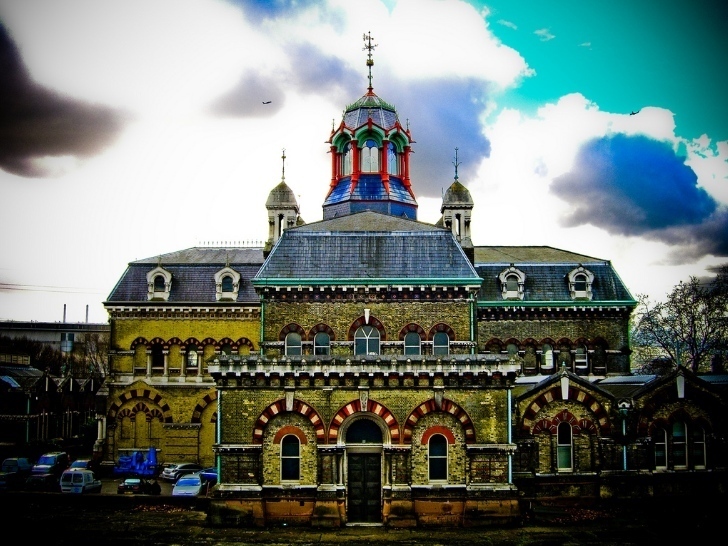 There follows a good view of Bazalgette's ornate Abbey Mills Pumping Station – which Londonist has visited before as part of a tour of the Northern Outfall Sewer. At Stratford High Street there's a diversion in place — after crossing the road, turn left and then take a right along Blaker Road. To the left are some steps down to the towpath along the Bow Back River (as well as mallards, moorhens and coots, keep an eye out for sand martins which nest in holes in the concrete banks). Turn right to cross the bridge over the river – you’ll now be on the same diversion currently being used by walkers on the Lea Valley Walk which will take you past Pudding Mill Lane station, under the train-tracks and back onto the Greenway next to the Olympic Stadium. If you're in need of some sustenance, the Moka East Café at the View Tube is just to your right. From here, the Greenway continues along the bridge over the River Lea, where you get to see a couple of sewage pipes to the left (to the right is Old Ford Lock). After the bridge, the path leads onto Wick Lane which is where the Greenway ends. 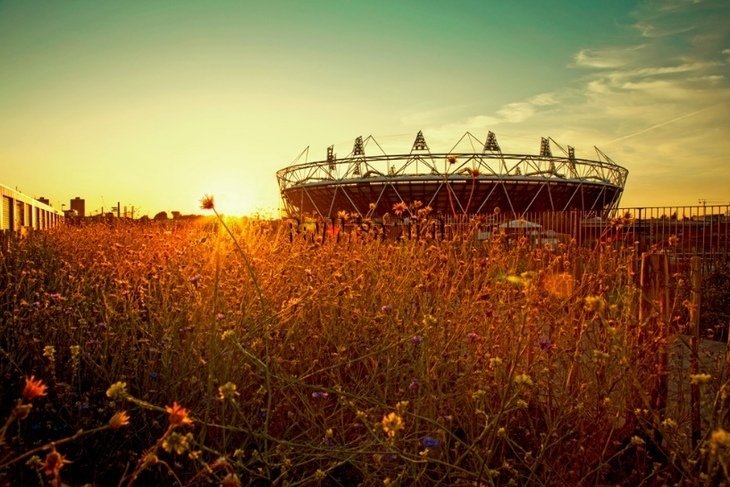 Victoria Park isn’t far away, and the nearest station is Hackney Wick. We've got more on the history of the Newham Greenway here.